Active Age for All provides the opportunity for people to engage in social, cultural, educational and recreational activities and events in an open and friendly atmosphere. 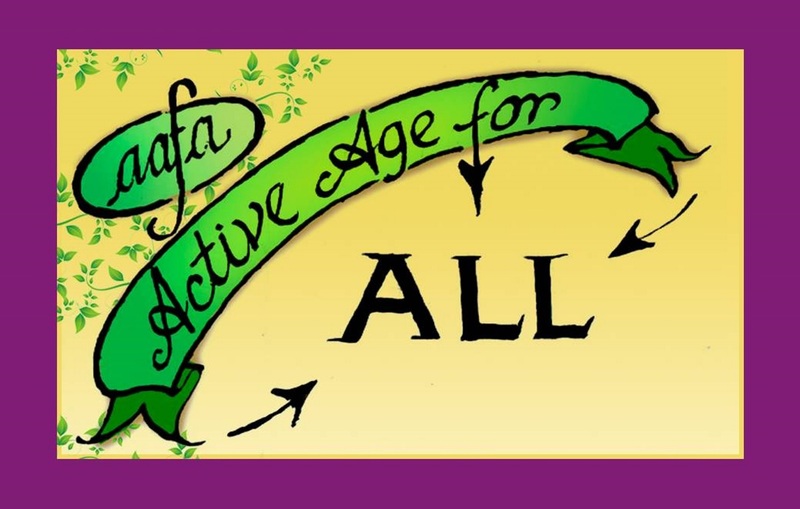 Background: Active Age for All (AAfA) was launched on the Donabate Portrane peninsula in 2015. Currently we have 170 members, with an age range of 55 to 90+. Our activities are aimed at promoting the health and wellbeing of our members, with the emphasis on enjoyment. New members are warmly welcomed. We offer a transition… a few members are still working in paid employment, some full-time and some part-time – but the greatest number are retired. 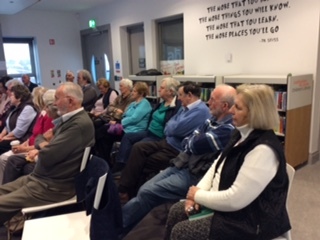 Of this latter group there are many who are hugely involved in voluntary work – from Meals on Wheels to cultural festivals and have associations with other local clubs. AAfA was set up in response to the findings of a survey, which was commissioned by Fingal County Council (FCC) to plan for the rapidly growing population on the peninsula. A local community steering committee was invited by FCC to be involved in the design, development and follow up of the survey. The need for services catering for older people and teenagers was identified and prioritized. At this time there were also ideas and offers of assistance coming from some members of the community to the Community Centre. All were open and totally supportive to making this happen. An ad-hoc committee of determined and enthusiastic people was then formed. All were keen to work with and compliment the activities of other organizations who have served the community very well for decades. There was an immediate response from our first public meeting. We are privileged to have so many people, with such diverse skills and talents, willing to offer their services. Together they designed the programme and structure of the organization and drew up the constitution. One of the aims of the constitution is to promote a spirit of self-help and independence and to encourage members to use their energy and skills for the benefit of each other and their community. This is reflected in the structure of our committee which organizes most of our activities, and also encourages members to lead sub-committees to promote their own interests i.e. Trips, Tours and Talks, Photography, Language classes etc. We offer classes at very reasonable rates to members. See our Schedule of Activities. We organise and pay all our own tutors for physical classes. Other classes and activities are run by members sharing skills and talents. AAforA members have membership cards which, in collaboration with some local businesses, offer reductions when presented. We are a not-for-profit organization. We rent rooms for our activities, have our own insurance, and do all our own administration and marketing – all on voluntary effort. We are always open to new ideas and welcome any offers of help. Where we meet: Most of our activities are held in the Community Centre and Library. The management and staff of both are welcoming and supportive and without them it would be impossible for AAfA to take place. The Centre is accessible by bus – the 33b – and there are good car parking facilities. Elders, tots, teenagers and health-fanatics mix and mingle in the café – good for our mutual health and wellbeing. Do come and join us if you are over 55. Membership fees: At this time the annual subscription for membership is 10 euro.